Confined spaces in the workplace are places people may need to enter that weren't necessarily designed for human occupancy because of their size. People fit into confined spaces, but there is not sufficient room to move around comfortably. In many cases, a confined space also has the potential to cause someone to get stuck or run into a variety of other hazards. Understanding confined space hazards and how to minimize the dangers is very important for any workplace where these areas exist. When done properly, confined space safety efforts can minimize the risks involved for the employees that are required to enter these areas. The term "confined spaces" is often seen as too vague because there is no specific definition used universally. An area may be considered confined to one person, but not another. While there is no set designation that is universally accepted, it is often helpful to look at examples of common confined spaces. Tanks - Large tanks are often used to contain fluids required for a job. A person may need to enter a tank to clean it or perform some other work. Even large tanks can be considered confined because there is only one way in or out, and people can't typically move about freely. Vessels - Similar to tanks, vessels hold items and may be large enough to fit a person in them to complete some type of task. Silos - Silos are very large, so people often fail to think about them when discussing confined spaces. Since there is limited room, limited exits, and the ability to become trapped, a silo is definitely a confined space. Storage Bins - Large storage bins are used in many industries. If someone falls into one or goes in to get something, they could become stuck. Vaults - Whether a bank vault, a storage vault, or some other type of vault, these are often large enough to walk in and move around, but still quite limited in their total space for the person inside. Pits - This is another often-overlooked example. If someone falls in a pit, they may have quite a bit of room to move around. Despite this, however, they are still stuck in one area so it can be considered confined. Manholes - Manholes sometimes open up into very large underground areas, but more often they are quite confined. In addition, the area from the start of the manhole to the place where it opens up is typically not very large. Tunnels - Tunnels are very common for miners, and even when they are quite big, they are considered confined spaces because of how easy it is to get stuck in them. Ductwork - Large facilities have ductwork that is big enough for people to fit inside, which may be required for cleaning or other maintenance. This is a great example of a confined space. Pipelines - Pipes are very similar to ducts, except they transport liquid, gas, or something else rather than just air. There are many other examples of confined spaces, but looking at these and why they are confined is a good way to get a basic understanding of what people are talking about when referring to a confined space. One thing that is clear is that the exact size of an area is not necessarily what makes it a confined space. Instead, things like the ability for someone to get trapped or be unable to find an exit is a more important characteristic of the area. For many people, confined spaces cause them to feel very claustrophobic, which makes it difficult for them to enter these types of areas. For others, however, it is no big deal to enter even the tightest of areas. One can't rely on one's comfort level to determine if a confined space is safe or not. About 100 people die each year because of confined spaces. There are many hazards associated with working in a confined space that employees and safety managers need to be aware of. Even when employees don't think there is a real risk involved with a particular confined space, it is still essential to ensure everyone is aware of the specific hazards. Entering a confined space needs to be done very intentionally to avoid problems, especially in very tight areas. Take into account things like the amount of air available, the risk of getting trapped, and more. Employees who need to enter into large pipes, for example, should understand that their body could cut off the light and air supply, so they need to bring air and a flashlight with them. Taking the time to appraise the entrance area to ensure it is secure is also very important. Another thing to think about when looking at a confined space entry area is letting people know that someone is at work. Some entrances, such as sewers, can be closed or covered to keep people out. If someone is working in the confined space, however, closing them in can present real dangers. Putting up a label or sign before going into a confined area can help to avoid this risk. When people are working in a confined area, they can go through the available oxygen surprisingly quickly. As the oxygen becomes depleted, people can become lightheaded and even pass out, which could lead to injuries or even death. Since there is typically a lack of effective ventilation in a confined space, it is easy for otherwise harmless gasses to build up. Even small amounts of gas that would normally just dissipate into the surrounding areas can become deadly in a confined space. Most confined spaces only have one entry and exit point. If that becomes blocked or otherwise unavailable, the employees can get trapped. 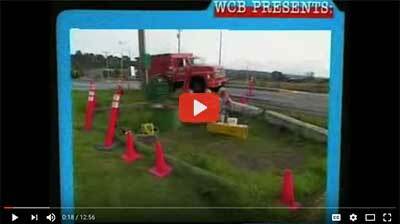 There are many ways that someone could become trapped in a confined area. Even just advancing into a shrinking part of a pipe or cave can cause someone to be wedged into an area so they can't escape. Fires and explosions present major dangers in confined areas. People can't easily escape, the smoke can build up very quickly, and explosions can cause the area to become unstable. Whether it is a gas that builds up and is set off by a spark or some other flammable material that ignites, escape is far more difficult in a confined area. In tunnels or other similar areas, the roof can cave in, smothering people. In other situations, things like grain (in a silo) can engulf a person in a confined area very quickly. Employees working with sand, rocks, or other similar items are also at risk of this danger if they don't have room to get out of the way when one of these materials starts shifting. In many confined storage areas, the products can become unstable. Employees in the area won't have anywhere to flee should they begin falling. One of the most common reasons for entering a confined space is to work on electrical equipment. If there isn't much room, employees may be at greater risk of becoming severely shocked by touching the wires. In some confined areas, the employee may not have anywhere to move, so the electrocution will continue until the power is cut. This can be a deadly event. These are just a few of the many hazards present in confined spaces. Understanding all potential hazards in an area is essential for planning effective safety processes. In many cases it is up to an employer to decide when it is necessary for someone to enter into a confined space. In others, however, there are federal regulations in place that require the employer get a permit before someone can enter these areas. This rule is 29 CFR1910.146, and it is very important for employers to be aware of before having anyone work in a confined area. OSHA requires permits for certain areas. These areas meet their definition of confined spaces, and they also have health and/or safety hazards present. The spaces and hazards listed above are a good starting point for understanding when a permit may be required. When in doubt, it is best to contact OSHA directly to have them help determine when a permit is required and when it is not. Depending on the situation, they can either evaluate a confined space over the phone or send out an inspector to help look at the area and make a determination. Another great option is to use the OSHA Confined Spaces Advisor. This is an online tool that goes through a number of questions. Based on the answers to these questions, OSHA will make recommendations on whether or not a permit is required. Employers can get a good understanding of what is required of them by using this tool. When it is determined that a permit is required for a confined space, the employer has a number of requirements placed on them to ensure the safety of employees. First, the confined area should be clearly identified with a safety sign. This can be done using a sign on a post, on the doorway, or anywhere else where an employee may enter the confined area. 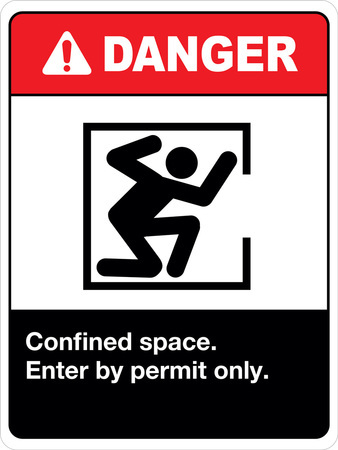 The safety sign should clearly identify an area as a confined space and let people know not to enter without first getting the proper permits and permissions. There are many things an employee must do differently in a confined space. Providing them with the training on how to safely complete tasks in confined areas is essential for ensuring overall safety. Whether this means sending an employee to some type of professional training or just doing on-site training courses with someone who is experienced, employees should know that they can't enter without first getting the needed training. The potential exits of a confined space should be clearly marked so the employees can see them. These exits should be marked with something that can be seen easily, even if the area became dark or smoky. Having the ability to exit a confined space quickly is one of the most important ways to stay safe. Anyone entering a confined space should have a partner who remains outside of the confined space, but in constant visual and auditory contact. 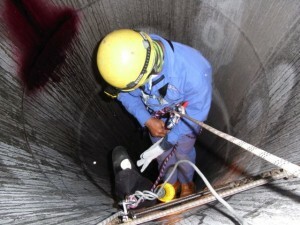 Should something go wrong, the person outside of the confined space can quickly call for help. It is important to note that the person outside the confined space should not enter to provide assistance unless there is someone else there with them who can stay on the outside to seek additional assistance. While it does not apply to every situation, addressing the need for a supply of fresh air is very important. In confined spaces, oxygen levels can become depleted quickly. Whether the air supply is sufficient in the space or the person going in needs to wear some type of self-contained oxygen mask, this is not a risk that should be left to chance. Having a personal light source like a flashlight is very important. If the lights get damaged or otherwise go out in a confined space, having the ability to illuminate the area can help ensure the employee's safety. Personal protective equipment is extremely important when working in a confined space because of the risks associated with these areas. Just like under normal working conditions, the specific types of PPE required will vary from location to location. Things like hard hats, protective gloves, shock-resistant clothing, facemasks, eye goggles, hearing protection, and more may be required to keep employees safe. Employers are legally required to provide the necessary personal protective equipment for employees working in confined spaces. All the PPE should be kept in an area near the entrance to a confined space, and signs should be put up letting employees know that they cannot enter without first putting on the required PPE. In addition to being aware of hazards related to working in a confined space, employees should be provided with the right confined space equipment to allow them to keep safe. 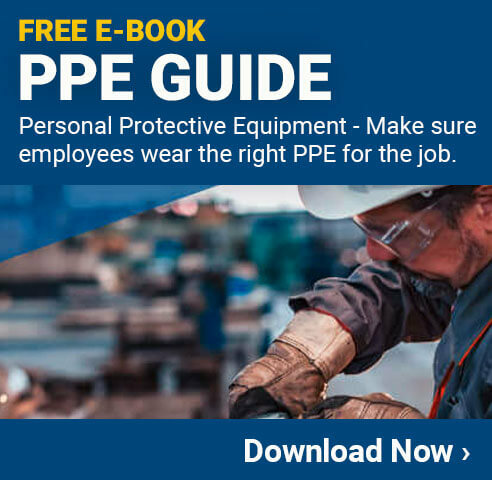 This equipment can be either something required to get a specific task done, or a form of personal protection equipment designed to keep people in these workplaces safe. Investing in the right type of equipment for working in an enclosed area is critical for the overall safety of the workplace as well as for remaining in compliance with OSHA regulations. As with just about all workplace safety efforts, being safe in a confined area starts with proper training. All employees who work in or around confined areas should be required to go through a formal training program provided by their employer. In many cases, these training programs need to be approved by OSHA in order to get the necessary permits. Even in areas that aren't legally defined as confined spaces, it is a good idea to provide training to anyone who works in smaller environments due to the elevated risks. Most companies that provide this type of training do it as part of their new employee orientation process, and then also invite seasoned employees to take the training if they are changing jobs or need a refresher. Companies that regularly require people to work in confined spaces will want to ensure their employees are regularly taking these safety classes, and refresher training, to ensure they are always operating with the latest and most effective safety standards. Training is one of the best investments a company can make in their employees, and will help to improve the overall safety of the entire facility. One of the biggest problems with confined space safety programs is that many employees and even employers don't take them seriously. While everyone knows there is a potential for danger in a confined space, people become overconfident that an accident won't happen to them. Employers and employees need to realize that the hazards listed above can happen to anyone at any time, and it is always important to take safety seriously.